This week on the podcast, Hayley and I have a fascinating conversation with physician and Harvard Medical School instructor Dr. Peter Grinspoon. We discuss how the medical establishment thinks about MED, the opioid crisis and Grinspoon's father, Dr. Lester Grinspoon, a hero of the legalization movement. In addition to his professional expertise, the younger Dr. Grinspoon became addicted to opioids while working as a doctor an experience he describes in his book Free Refills: A doctor confronts his addiction. The episode lands Monday at 4:20 p.m. Pacific. Ohio’s state auditor said the state MED program should continue despite “multiple” flaws in the application process (AP). According to the state commerce department, public radio reports, changes were made to internal documents but it's impossible to know by who since passwords were shared. Six unsuccessful applicants have sued the state (Cleveland.com) in a lawsuit which alleges scoring errors, regulators who failed to follow their own rules and outside “scoring consultants” with blatant conflicts of interest. A Trump administration aide resigned after he was told he would not received a security clearance (NYT) for smoking pot several times a few years ago, a disclosure he self-reporting it to the FBI. It followed news of senior aide Rob Porter resigning (Politico) after allegations of domestic abuse surfaced in the press. Colorado Gov. John Hickenlooper said U.S. Attorney General Jeff Sessions seeks to “sow doubt” about legalization’s viability. Leafly says 99% of California cannabis businesses remain unlicensed . 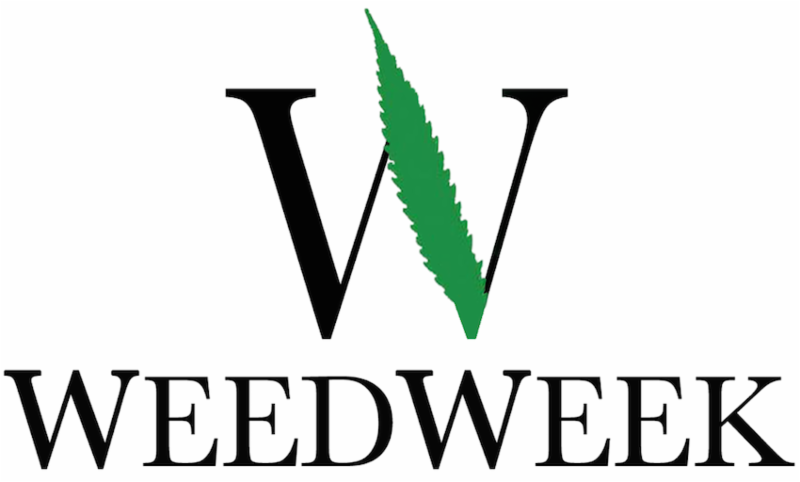 But California regulators have begun to target (MJBizDaily) unlicensed businesses. The Sacramento Bee finds unlicensed local delivery services continue to operate . California’s cannabis industry is gaining political clout through campaign contributions. Massachusetts regulators say anticipated July 1 REC sales could be delayed . They also floated the idea of a state cannabis bank . A New Jersey lawmaker proposed creating “consumption zones” to address the social use issue. The state’s black lawmakers discussed legalization . Montana released new MED rules . Alaska’s Sen. Lisa Murkowski (R) doesn’t expect the federal government to reschedule marijuana anytime soon. Detroit plans to challenge two voter approved initiatives which would reduce local control of the industry. Michigan released its cannabis product label . N.Y. Senator Kirsten Gillibrand (D) criticized Big Pharma for opposing cannabis reform. The Trump administration supports continuing restrictive hemp laws . Colorado dispensary chain Medicine Man named a strain Jeff Sesh-ons . Oakland megadispensary Harborside stood up to Hershey’s after the confectioner called Harborside strain Jolly Meds a trademark infraction on Jolly Ranchers candy. The SEC suspended Cherubim Interests and Victura Construction Corp., two cannabis penny stocks which tried to exploit interest in cryptocurrency. Quebec cannabis grower Agro-Biotech agreed to merge with Vancouver-based Pivot Pharmaceuticals in a C$100M deal. Pot grow sensor platform Braingrid raised C$2.6M ahead of going public in Canada. California approved the first provider of surety bonds to cannabis companies. A proposed bill in California would block employment discrimination against cannabis users. Quartz says it’s not a good idea to tell colleagues you smoke pot. Retail prices in Oregon are as low as $2/g and still dropping 20% annually. In Washington, conditions also incentivize leakage out of state. 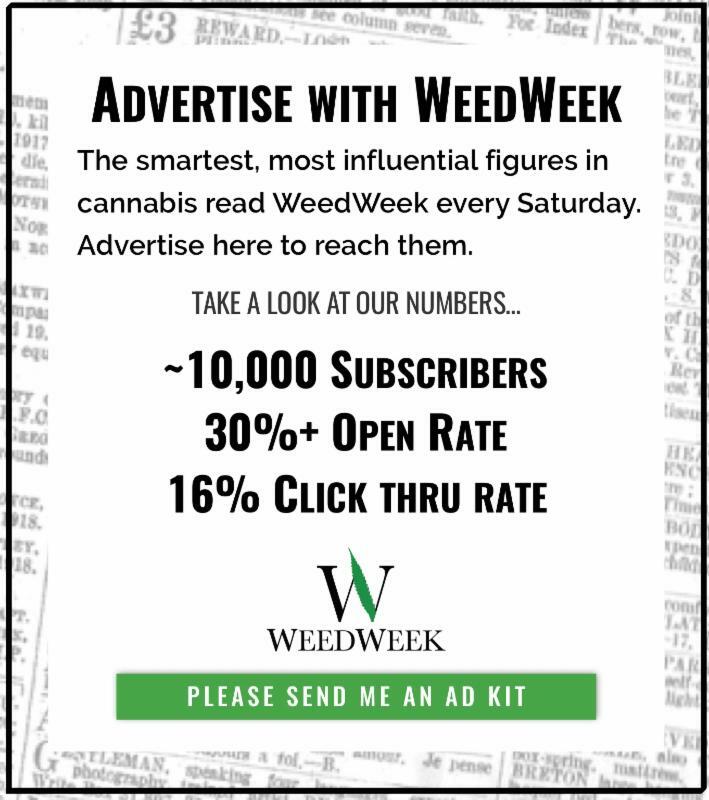 Meanwhile, in Massachusetts they’re worried about shortages when REC goes on sale. Nearly 4% of Colorado electricity powers pot grows . A lawsuit which threatened to force a new MED application process in Maryland has been settled for undisclosed terms. Canna Law Blog discusses the Open Cannabis Project’s fight to get pot patents right and changes to California event permit rules . The New York Times meets black L.A. cannabis entrepreneur Virgil Grant . Pennsylvania’s nascent MED industry can’t keep up with demand . And the state may soon allow flower sales . The first Louisiana MED dispensaries could open later this year. 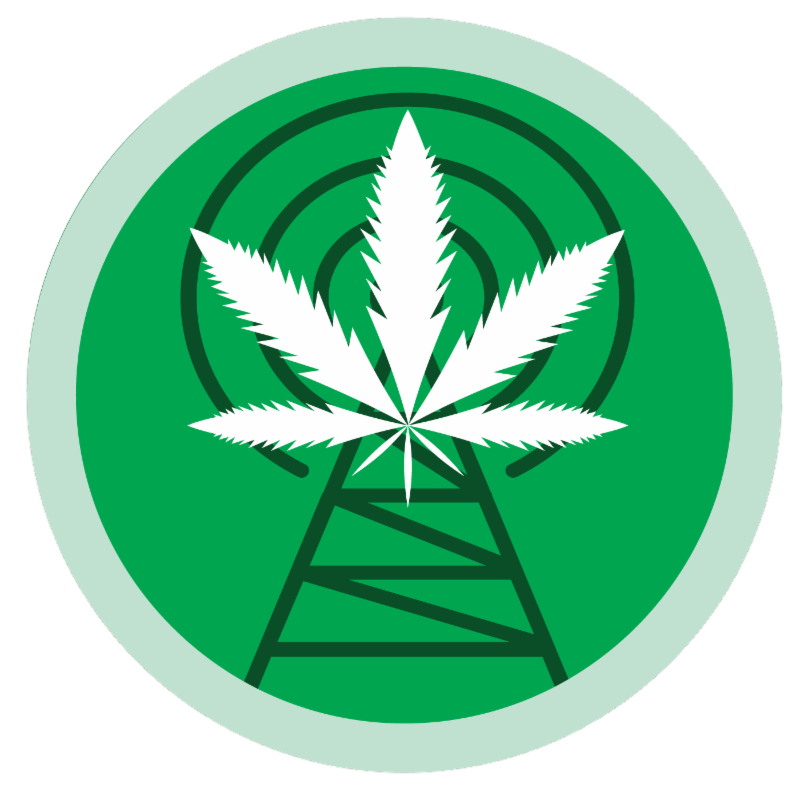 North Dakota selected BioTrack THC for its cannabis tracking software. Media company Freedom Leaf is in financial trouble . Thailand, which has draconian drug laws, may try to become a MED hub . In the Guardian, I wrote about five female cannabis entrepreneurs . Leafly lists seven edibles which “changed the game .” The listicle dates back 3,000 years to bhang in India. Girl Scouts won the OK to sell cookies outside dispensaries. U.S. House Rules Committee Chair Pete Sessions -- no relation to AG Jeff -- who’s among the most anti-pot legislators in Washington, said marijuana use leads to opiate addiction , a claim largely unsupported in the medical literature. Marijuana “merchants of addiction...are making it more powerful and more powerful and more powerful," Sessions said. "When I went to high school ... in 1973, I graduated, marijuana, on average, is 300 times more powerful. That becomes an addictive element for a child to then go to the next thing." In 2016, the Washington Post’s Christopher Ingraham wrote alcohol and tobacco are more likely to lead to opioid use than cannabis. An Arizona House panel approved a proposal which would make it a felony for doctors to evade state MED rules. Insurer Sun Life Financial will offer MED insurance on Canadian group plans. A California bill would allow special needs kids to take MED in school. A new study should dampen enthusiasm about cannabis’ ability to reduce opioid overdoses. Researchers at Philadelphia’s Rothman Institute will study the effects of MED on chronic and acute pain . Leafly talks to a Canadian cannabis doctor . Rolling Stone talks to TV science guy Bill Nye . Speaking before an Ontario high school, a cop warned boys that smoking pot would cause them to grow “boobies.” Buzzfeed says there’s “not much scientific support” for the long-rumored link between cannabis and gynecomastia. British Parliament is under pressure to let a six-year old boy with epilepsy access MED. A Montana prosecutor said he would issue civil restraining orders to women who use drugs or alcohol during pregnancy. Philadelphia DA Larry Krasner (D) dropped 51 cases of individuals charged with pot possession. He also said he will end cash bail for minor crimes. Alameda County’s (Oakland) DA will move to reclassify and expunge past cannabis convictions. Fresno County’s DA will not . Oregon authorities struggle to differentiate between legal and illegal grows. Pierce County, Wash., authorities seized $250,000 worth of weed from what they said was an illegal MED market. A video of the raid went viral when a cop blocked a camera filming him and arrested the filmer, a shop employee. A Colorado cannabis activist arrested in Oklahoma for possession says it was because of her Colorado plates. An Indiana appeals court ruled admitting to past marijuana possession justified a canine search . A Tennessee judge allowed a shuttered CBD shop to reopen . Hawaii state law enforcement is investigating alleged illegal pot sales at an industry show. In Alabama, decriminalization has encountered resistance . The Las Vegas airport installed cannabis amnesty boxes . New York magazine cites marijuana decriminalization as one of the major progressive gains of the Trump era. Legalization has led Mexican cartels to push heroin . Phillipine President Rodrigo Duterte extended the term of the national police chief leading the nation’s brutal drug war. NBA players union head Michele Roberts says she supports players’ access to MED . “If we do go down that road, we have to protect our players from — my words — a crazed attorney general who says he will prosecute violations of the law involving marijuana and he doesn’t care what individual states say,” she added. New York magazine writer Andrew Sullivan calls opioids “ the poison we pick. ” He also discusses how he copes with life during the Trump administration . Weed is involved. A leaker divulged the secret strain used in The Grow-Off, a contest started by Cannabist pot critic Jake Browne. HBO renewed High Maintenance and Crashing for third seasons. Rolling Stone writes up travel guy and cannabis activist Rick Steves’ trip to Capitol Hill . Canadian snowboarder Ross Rebagliati talks about getting his Olympic gold medal stripped and then restored for cannabis use.